Cor’s essential philosophy is to combine natural ingredients with a patented scientific delivery system. This combination brings essential vitamins, moisture, and protein to your skin cells in the most effective way. 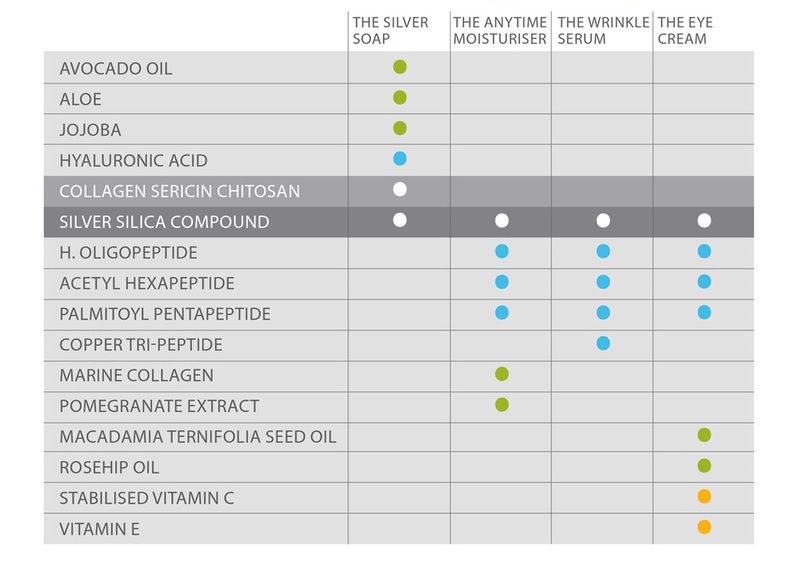 The Science of Cor explains the delivery system and specific ingredients that make Cor products so effective for clean, clear, and healthy skin. Silica and Silver: Making natural ingredients even more effective. Silver has long been used by doctors in hospitals to fight bacteria and speed cell repair with its cell-regenerative properties. Silver blocks the bacteria’s ability to transfer oxygen through its cell walls, thereby suffocating it. That means washing and hydrating with Cor doesn’t just remove dirt – it truly protects the health of your face and skin. Silica prepares the skin to accept the ingredients of Cor. The sponge-like nature of silica draws the silver and all of Cor’s active natural ingredients into its particles, so that it can richly nourish the skin. All our products use these two ingredients for optimum effectiveness.